As the dog days of summer creep up on us, it's still not to late to add some summer tracks to your music library. 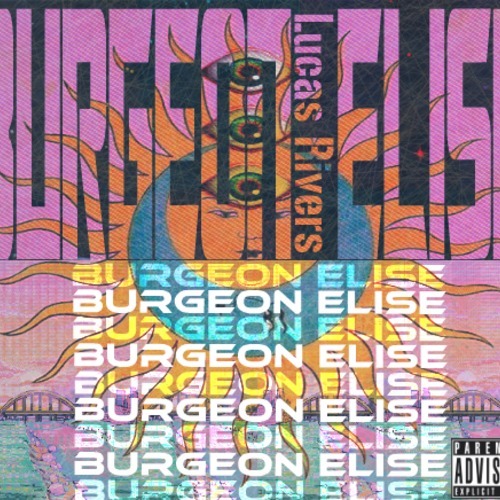 Cue an entrance for Providence, Rhode Island youngster Lucas Rivers and his latest extended play project, BurGeon Elise. Faithful EARMILK readers may recall stumbling across Rivers's music on the site either in Straight No Chase or his 2012 mixtape, CONTEXTCULTSHIT. Over a year removed from that release the 18-year-old rapper is flexing his creative muscle and showing signs of artistic growth with his latest summer friendly-EP. Accompanying Rivers's lyrics is production from a list of producers including Jazz Liberatorz, Shigato, and Schadillac. Stream the 8-track EP below and watch the Bennino Warhol directed video for Rivers' first single off of BurGeon Elise, "Jeweler", after the stream.